Dragonchain was created to provide blockchain architecture for entities who wish to keep their data private while also entirely taking advantage of the security that comes from public blockchains. 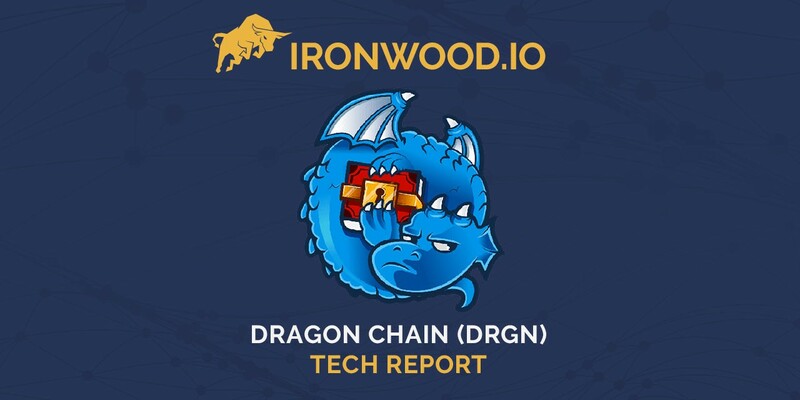 Dragonchain will also provide a commercial platform for the rapid launch of blockchain applications that can be created with popular programming languages. The final aspect of the Dragonchain platform is their DragonFund Incubator, which is designed to provide guidance and quickly launch new blockchain projects. Dragonchain will help simplify and standardize blockchain application development, something much needed in this emerging sector. They plan to do so by providing products and services around best practices, infrastructure, and application architecture. Finally, the architecture will allow blockchain-powered business logic to be created, tested, and run in production before having to add in any blockchain economics, such as mining rewards, staking, utility tokens, or payments from existing currencies, like Bitcoin. Dragonchain’s architecture is designed as a multi-tier blockchain solution which uses low level, internal blockchains to provide data consensus and security for private data on internal networks controlled by the organization or provided by Dragonchain’s infrastructure platform. Similar to how sidechains are secured by occasionally writing a hash of their state to their parent blockchain, Dragonchain offers multi-tiered blockchains where each additional layer provides extra assurances around security and consensus. By splitting up business logic, validation, network diversity, and notary nodes into their blockchain, their architecture allows scalable enhanced security, and this security can be topped off by recording results on highly-secured public blockchains, such as Bitcoin or Ethereum. Following this architecture and guidance from the Dragonchain organization will help to establish best practices for this sector, something which is currently lacking.